The Whitworth Hawaiian Club, Na Pu’uwai o Hawai’i (The Heart of Hawai’i), will share food and culture with the Whitworth and Spokane communities during the club’s 47th annual lu’au, on Saturday, April 29. Dinner will be served buffet style in the Hixson Union Building (HUB) from 4:30-7 p.m., followed by entertainment at 7 p.m. in the Whitworth Fieldhouse. Shuttles will be available to transport attendees from the HUB to the Fieldhouse. 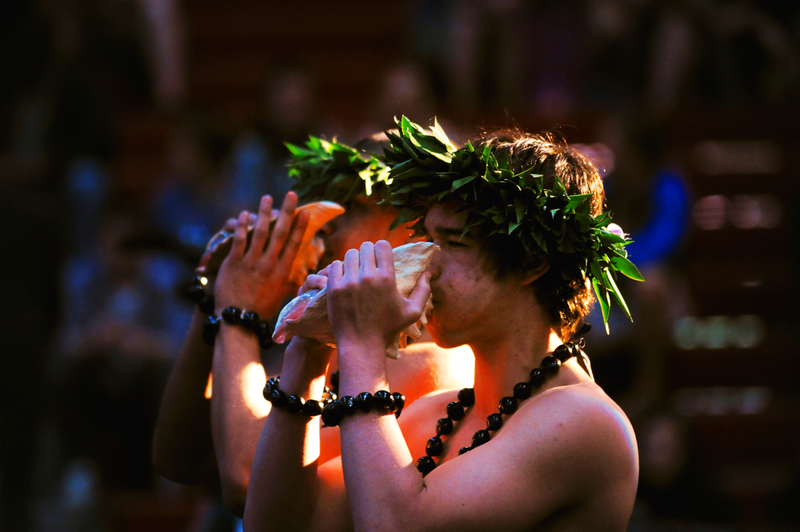 This year's theme is "Eō e ka Lāhui," which translates to "a calling to all people of Polynesia," and will showcase the unique cultures of Hawaii, Tahiti, Samoa, Tonga, and Aotearoa. It's a "Hear ye!" statement, with an emphasis to unite all islands in the vast Pacific Ocean. The menu will include rice, kalua pig, bbq chicken, lomi salmon, chicken long rice, macaroni salad, green salad, haupia, and pineapple upside down cake. The entertainment portion of the program will feature a pre-show fair before the performances begin. It will include a hula hoop contest, the opportunity to learn how to do basic hula moves, a photo booth, and other games. There will also be a raffle giveaway and an opportunity to buy authentic Hawaiian goods. "I am especially excited for this year's lu'au because we are working hard to showcase all of the beautiful cultures that make Polynesia so unique,” says Hawaiian Club President Tynell Ornellas, '19. Tickets are $20 for general admission (13+); $10 for seniors (62+) and children (6-12); and free for children five and under. Tickets for Whitworth students (all current students, including continuing studies and graduate programs) without a meal plan are $10 per person; Whitworth students with meals plans will scan IDs in the Dining Hall and pay for entertainment tickets separately at the Fieldhouse door for $2 (cash only). Tickets are available for purchase online at www.whitworth.edu/luau2017, on campus at the HUB Information Desk, or at the door the evening of the event. For ticket information, call the HUB Information Desk at (509) 777-3796. Tynell Ornellas, Hawaiian Club president, Whitworth University, tornellas19@my.whitworth.edu.